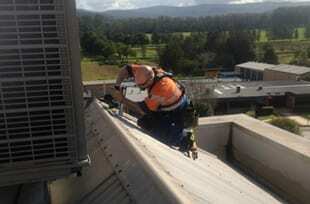 Zokal Safety Australia will consult on, audit, risk assess, inspect and certify all height safety systems. 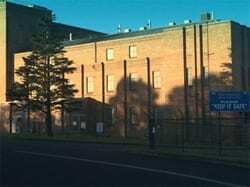 Zokal WHS consultants are trained to conduct audits/risk assessments of your facilities and structures to ensure that you meet your obligations of the many complex Australian Standards, Codes of Practice and WH&S legislation. Zokal offers a wide range of auditing and risk assessment services designed to inform our clients of the current state of their assets compared to the requirements of regulations governing the work environments they operate in. 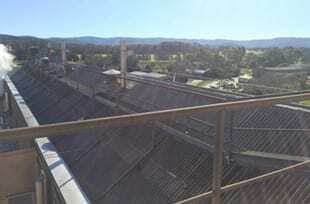 Zokal Height Inspectors provide onsite Inspection and Certification of your height safety systems to meet the exacting requirements of Australian Standards and WH&S Legislation ensuring 100% compliance and minimising risk of accident, heavy fines and possible jail time. Harness Anchor Points are designed to prevent serious injury or death by facilitating safe maintenance access to roofs, gutters, solar panels and mechanical installations. 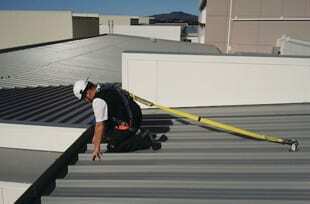 Roof safety points allow workers safe access to roofs without the risk of injury or death due to falling from height. 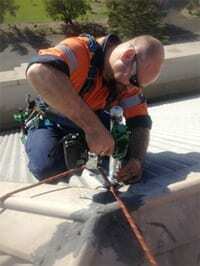 Using roof anchors provides a secure attachment point for workers to attach lanyards, harnesses or static lines. 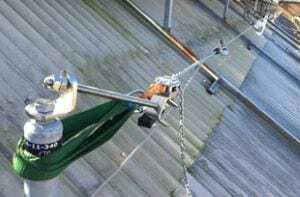 In situations where guardrails may not be practical, using roof safety anchors in conjunction with a safety harness can be the best fall protection solution. 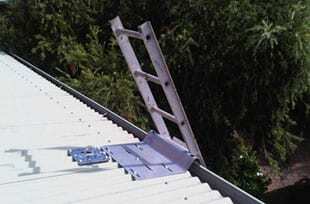 The type of roof anchor system used should be specifically created to maximise safety for each individual application. The height safety system specialists at Zokal Safety are able to quickly identify the correct roof anchors and the correct configuration to suit your building. 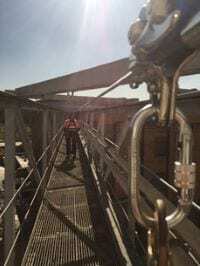 Static line installation and installation of eye bolts and rope access systems. 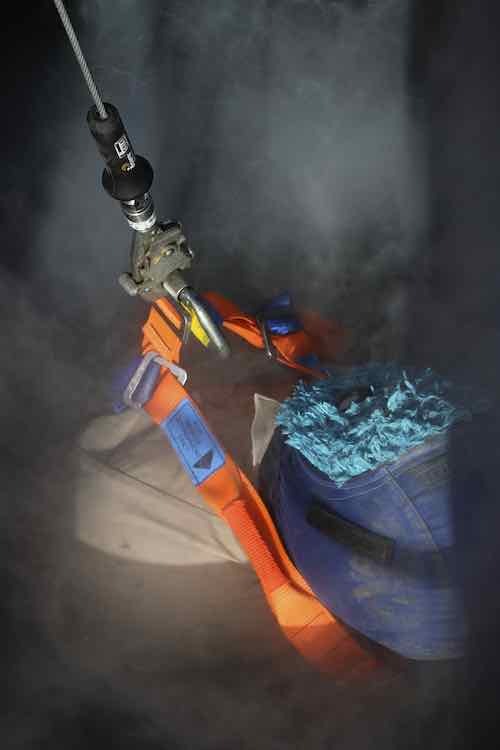 Industrial fall arrest systems and devices include safety harnesses, horizontal lifelines and rails, fall arrest devices, and associated lanyards, connectors, anchorages and fittings – and maintenance covers the maintenance requirements and recommendations for inspection, storage, servicing and cleaning for this equipment. When inspections are performed by Zokal on anchor points, our technicians use calibrated load testing equipment. All points are tagged accordingly with date of inspection and next inspection dates clearly marked on the labels. 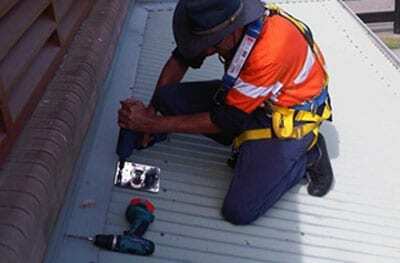 As per AS 1657, compliance plates are fitted to every roof access point. Horizontal lifeline systems are a permanent safety system requiring anchors to be installed into a structure so that a cable static line can be fastened. A movable anchor slide can be attached so that personnel can move along the cable static line attached to a fall restraint device. Managers/supervisors should be aware that ignoring inspections of this life saving equipment by professional height safety inspectors is a breach of their duty of care and providing a safe workplace for their staff under the WH&S legislation and can have dire consequences. Note: For height safety equipment to remain effective, it must be inspected, tested and tagged regularly to ensure compliance is maintained. Zokal goes to great lengths to provide traceability of your company assets by barcoding technology and certification of all of your height safety equipment. Creation of accurate reports and equipment registers is another of our companies focus. Service of a company’s height safety asset without accurate documentation is of little value and does not protect the client from its Work, Health and Safety obligations. Zokal provides not only excellent inspection and service of your height safety equipment but also accurate documentation to complete your statutory obligations. If you have any height related problems let us help you solve them. 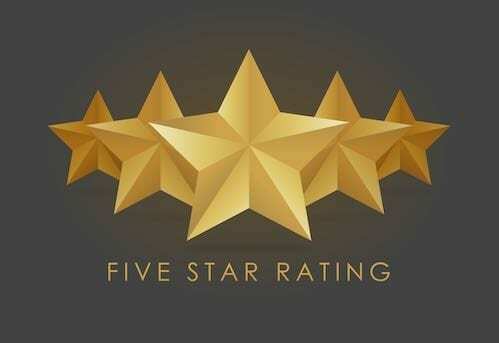 Find out just how easy your safety and compliance issues can become when we assess your needs and outline a solution for you!